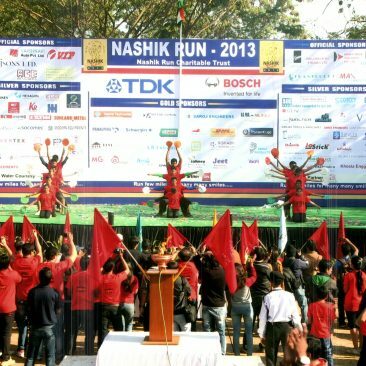 The “Nashik Run” was initiated by the select set of corporate houses to help the needy and underprivileged and to promote the awareness of health and fitness in and around the city of Nashik. There are various social service organizations engaged in a myriad of activities pertaining to the under privileged in and around Nashik. Their activities include shelter for the old and destitute, shelter for women, education and training for the mentally challenged, training for the blind, care for orphans, skill center for the less able etc. 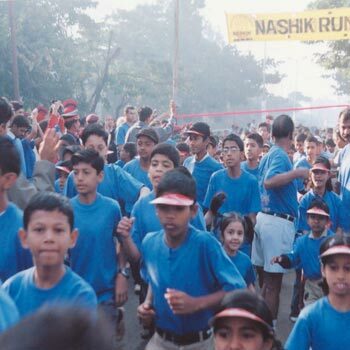 Nashik Run was born out of a desire to serve the underpriviledged in and around Nashik & to spread the message of healthy living among the Nashikites. the main idea is to help those who want to help themselves. It involves funding of various long lasting & productive projects undertaken by NGOs and charitable organization in order to enable them to become fully independent. 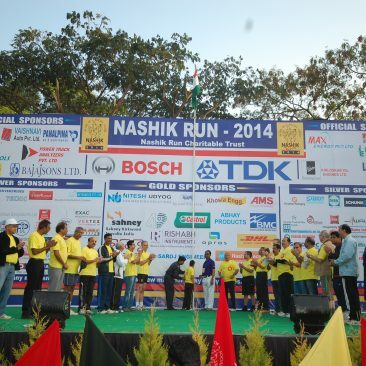 The Nashik run event organized in Nashik by the all corporate houses and the generated fund is distributed for the welfare of the Nashik. All the companies have obligations to the wider community and the good corporate citizenship extends further by developing the surroundings. 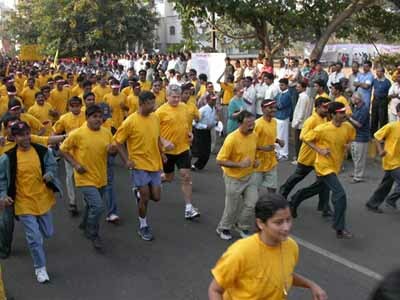 The event is held pn second Sunday of January month every year at Mahatma Nagar ground, where thousand of citizens, young and old, run 4.5 kms with an aim to help the deprived sections of the society. There are two groups. One is children group and another is for adults. The distance for the children is 2.5kms Funds are collected through donations and sponserships from various corporate and participants who register for the run. 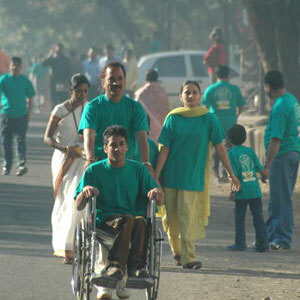 Registered participated get one “Nashik Run” T-shirt. The amount collected is directed towards funding and promoting various important and deserving ssocial projects. 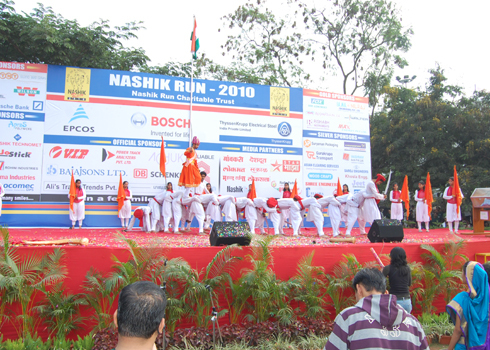 The uniqueness of the Nashik Run organization is that not a single paisa is used on administrative cost. 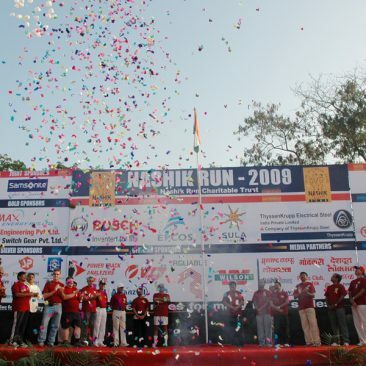 The first Nashik Run was started on 11th January 2003, with the Synergizing efforts and resources of the corporate giants in and around Nashik for a single common social cause. The funds collected are directed towards funding & promoting various important and deserving social projects. Nashik Run Charitable Trust continues to work with marginalised communities, including farmers with small land holdings, landless and daily wage labourers, fishermen, weavers, socially backward ethnic groups and tribes. Nashik Run Charitable Trust also helps the urban poor and communities in difficult circumstances – street children, children engaged in labour, children with disabilities, children orphaned by HIV/AIDS and people affected by natural disaster.